A little Rose Display to brighten your day! The quilt which measures 68" x 68"
to some deep rich red tonings. a cosy and comforting quilt. for me to contact you. to clear the air and replenish our water tanks. 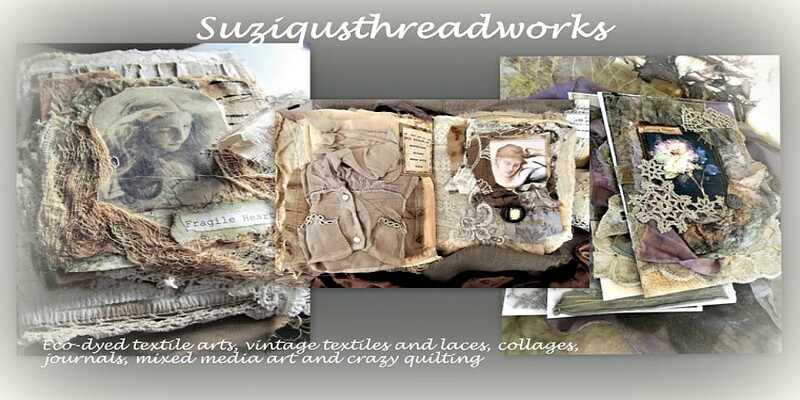 That is a truly glorious quilt Suzy, the fabric are such a beautiful mix of patterns and textures. I'm sure you'll some be sending it on it's way to some lucky person. 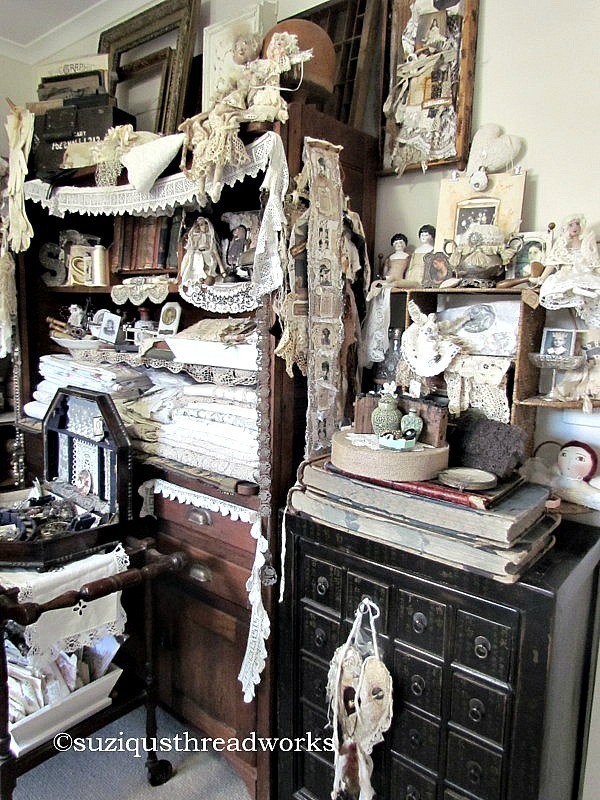 Wonderful treasures! Exactly what I love too! I love your flower quilt! your quilt is stunning! Absolutly beautiful! P.S. I hope all is well. 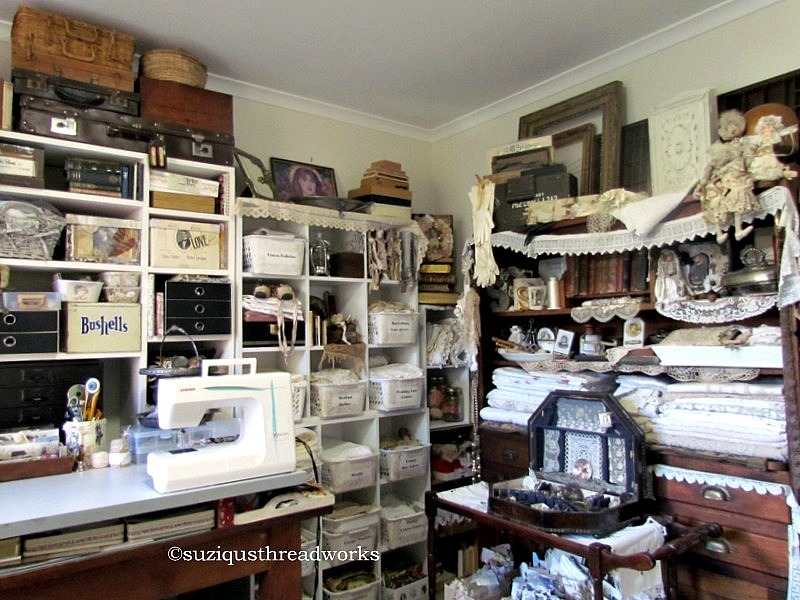 I'm sorry to be so late with my visit and to thank you for all that you've said-- truly you have touched my heart so many times these last few days--- I'm going nonstop in the Sacred Yarn room-- stringing yarns everywhere- lol-- this "nesting" session is all consuming--- I'm busy busy busy! What a beautiful quilt. 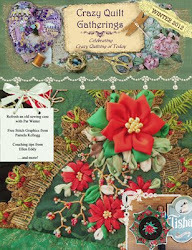 You must have been collecting rose fabrics for years to create it! I know the wool batting makes it so comfy. 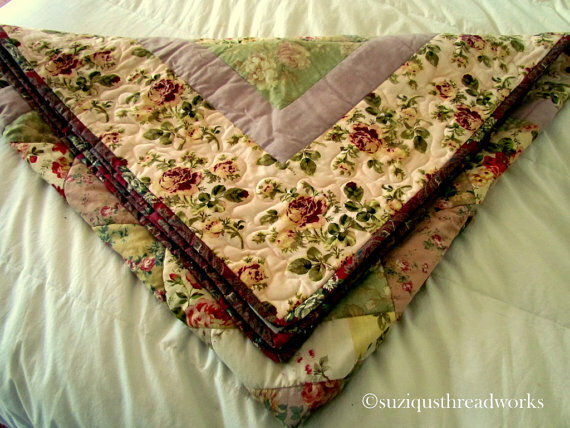 A beautiful quilt Suzy. I'm thinking about making a quilt, but that's as far as I've got with it :-). 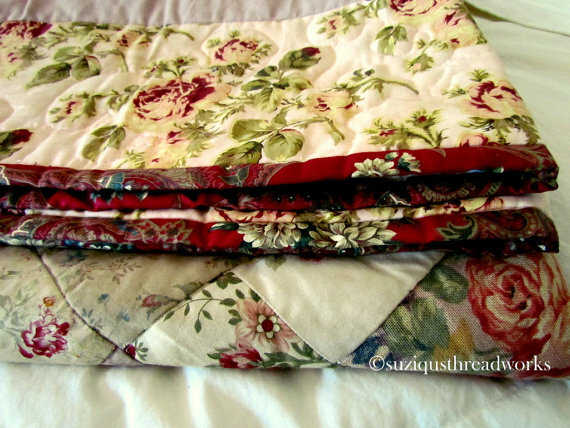 Your rose quilt is gorgeous, Suzy! Hope the rains arrive soon. Your country is being ravaged by Mother Nature at the moment, as I sat and watched the news reports covering the recent floods. Congratulations on being featured but little wonder as your quilt is exquisite in the way you handle all the different fabric designs yet they merge into one as a most beautiful rose garden would with all the variety of roses. Everything you do seems to be touched by "The Angels," Suzy. What a beautiful quilt. I'm happy to hear that you are safe. Here we have winter, now with melting snow - no fun. Your quilt is amazing, just perfect. What a gorgeous quilt Suzi, your fabric combinations are beautiful. So glad the fires have subsided. Queensland's suffering massive floods and we're all desperate for rain down south, feast or famine. Hello dear Suzy; visiting via Vicki's GYB Party but I follow you and would visit anyway -smile-. Your work is lovely and I always love visiting here. 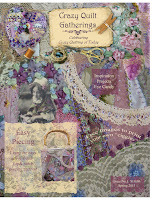 The quilt is fabulous...the colors and fabrics are cozy, warm and cheerful. 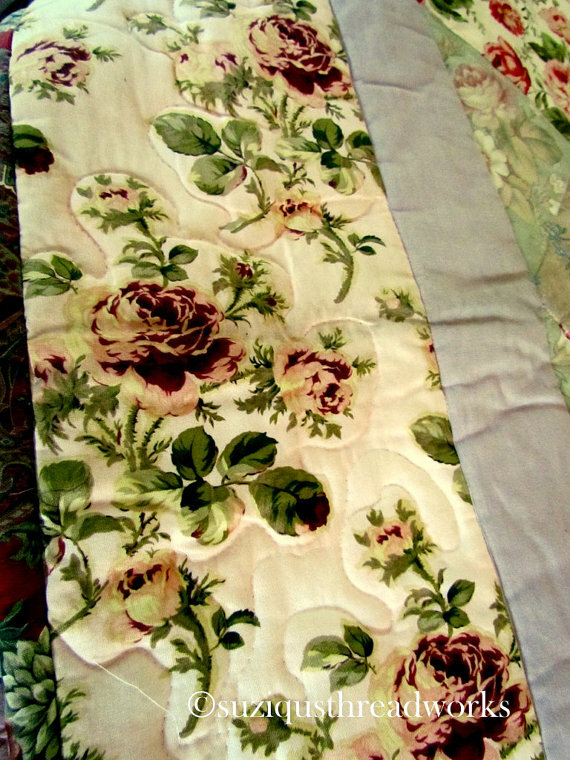 Your rose quilt is a most stunning and beautiful bed quilt.Makes me think of lovely english cottages and rose gardens, so beautifully mixed fabrics,a nd colours, it sooo belongs among Sarah`s treasures. Congratulations my sweet friend. And Goodmorning to you,-to hopefully a beautiful day. 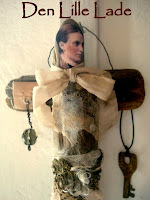 Here I bid my dear angel friend goodnight,- no chance here! It's a magnificent quilt - the lucky person who acquires will have an exquisite heirloom to pass down through their family for years to come. All your work is created with the eye of an artist. I'm hoping the fires have died down and things can return to some sort of normality for you all, after such an anxious time. 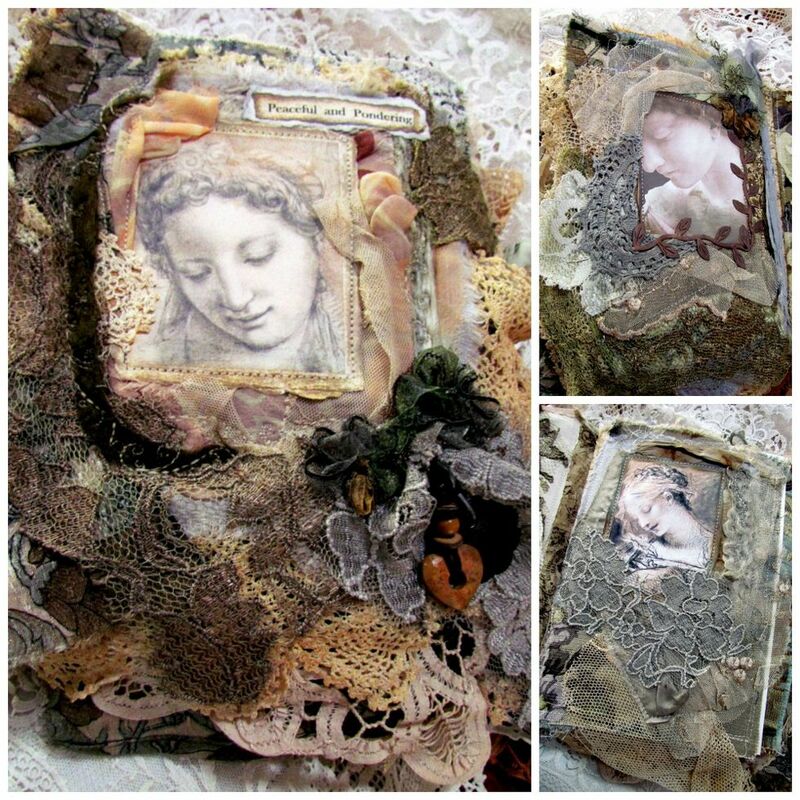 I love your lace journals, just gorgeous Please sign me up for your give a way. 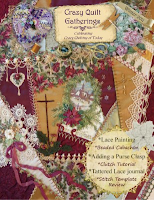 I love lace and trims. Hi Suiqu, It's nice meeting you here and your rose quilt looks wonderful. 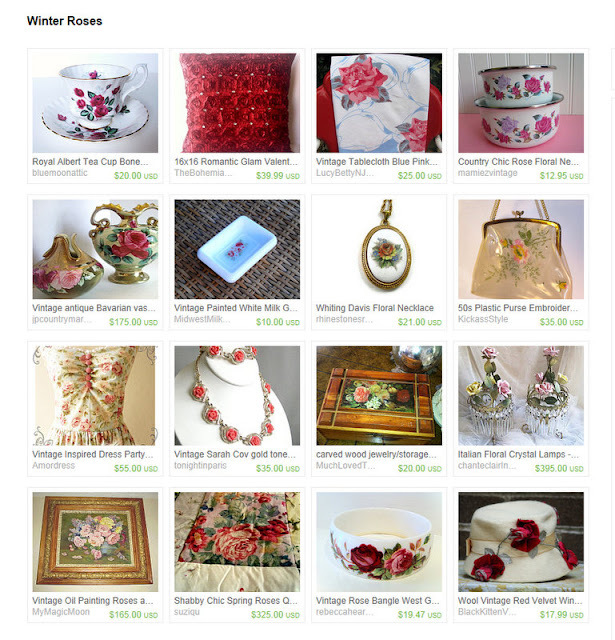 Thanks for visiting my blog and the invitation to visit yours. The picture of the wild fire close to your property is frightening. I'm glad that your property was spared and I hope that you were also spared the flood and are all safe. Good luck growing your blog. Hi Suzi... 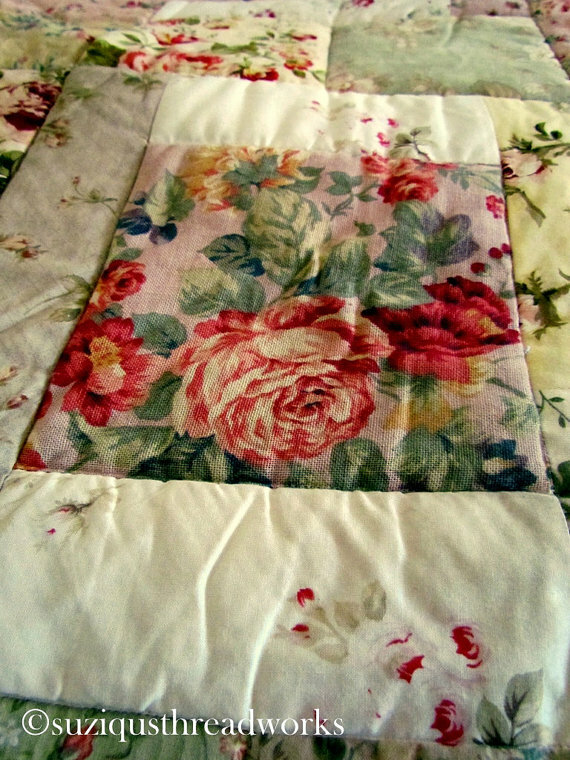 I have drooled over your roses quilt forever! 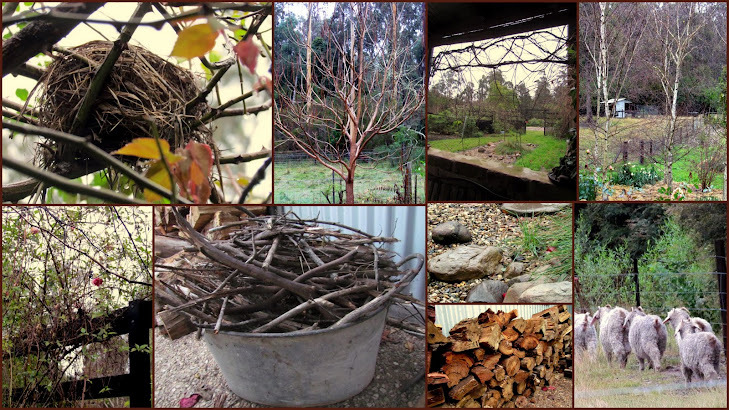 (or at least since you first posted pics of it) This Grow your Blog party has been a blast... I keep running into YOUR friends and people you round-robin with! Lacy people keep showing up. That quilt is so beautiful! 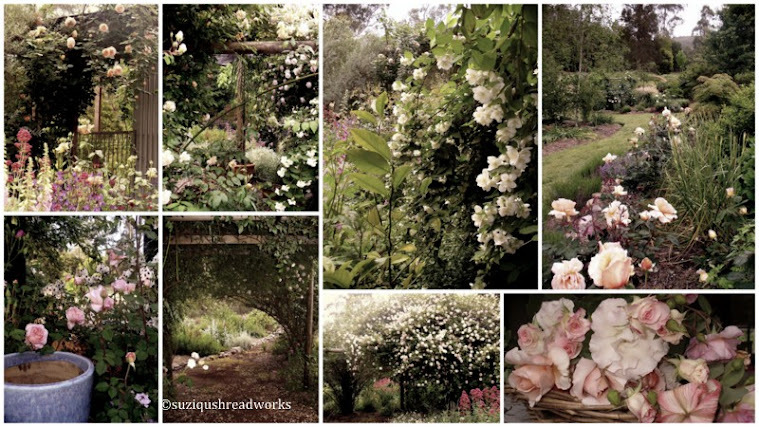 The roses of course are gorgeous, but the whole thing all together is so pleasing to see! Lovely lovely! And I mis-spoke in my earlier comment! Here I am typing away on this new ipad thing, and thinking that I am not a follower when in factI have been a follower for a time now! So good! I knew I was keeping up, in fact have been all the way through your blog spending some time eating up the lovelies you've shared. Thank you for your contribution of beauty in our sometimes ugly world. Your work is always a joy to see! 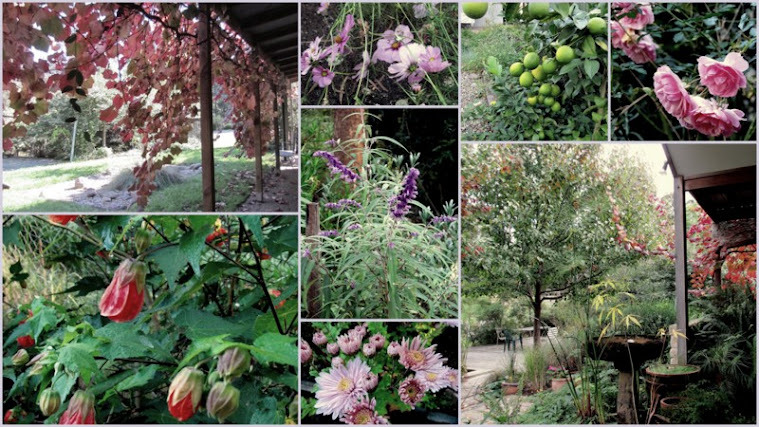 Your blog is so filled with beautiful eye candy that it's hard to take it all in. I will be back again and again! Dear Suzy, I do hope you'll get your rain VERY SOON!! It's winter here in the Netherlands and we have lots of rain. Wish I could send you some. Happy to hear your sound and safe! 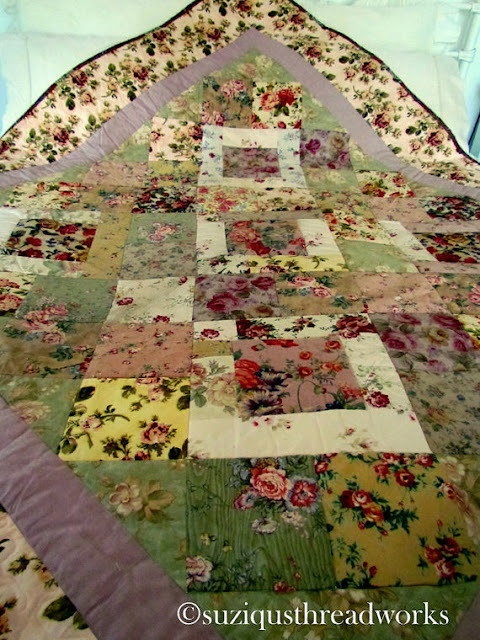 The quilt is so gorgeous, the fabric used beautiful! What an absolutely gorgeous quilt, it looks so rich. Love it! All lovely work, and wonderful combinations :) congradulations. 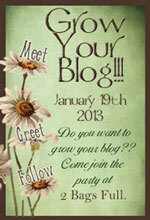 "A Chance to Grow Your Blog" and GIVEAWAY!! !